Home > News > Join me with Ed Gillespie in Frederick County Today! You're invited to join me for a "Get Out The Vote" rally with Ed Gillespie and our other Republican candidates at 5pm today at the Frederick County Fairgrounds. If you haven't had a chance to meet Ed yet on his previous visits to Winchester, now's your chance. Reserve your ticket now! 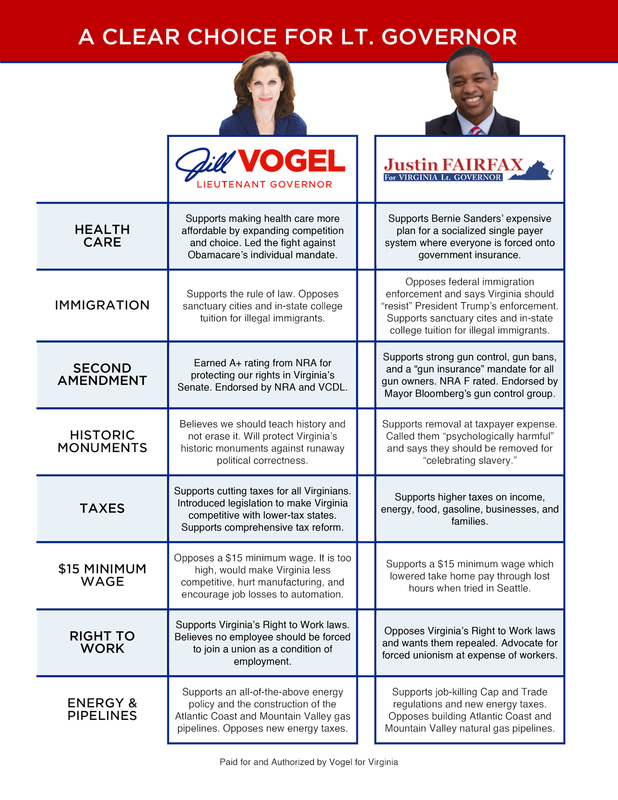 A helpful comparison of the candidates for Governor is available here. 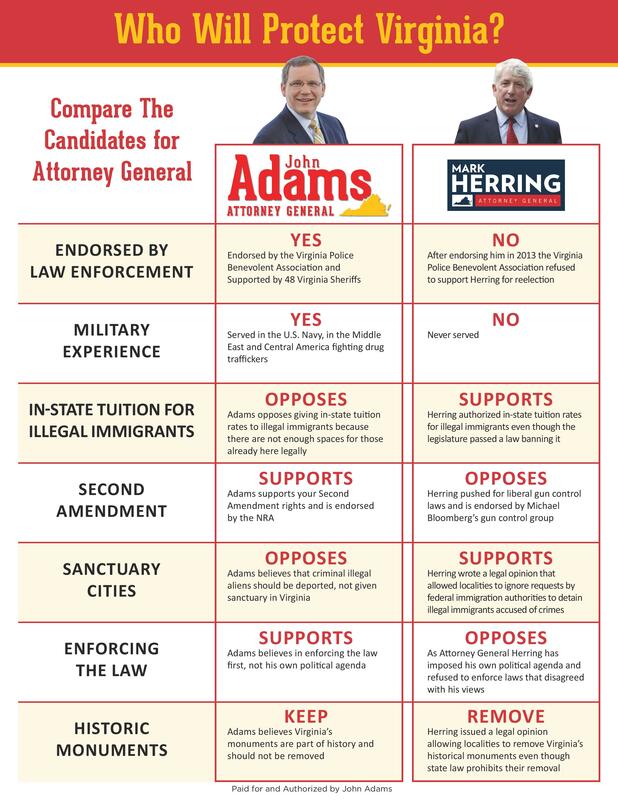 There are similar guides available for the Attorney General and Lieutenant Governor candidates. Feel free to print these or share them with your friends via email and social media. Thank you for supporting me and the rest of our Republican team! Volunteer to work a few hours at the polls on Election Day. Last but not least, please keep my team and me in your prayers! We'd love to have you join our team- Sign up here! Thank you for your support, and please let me know if you have any questions!